It’s Official – Crazy Cheeto Now World’s Biggest Joke ! 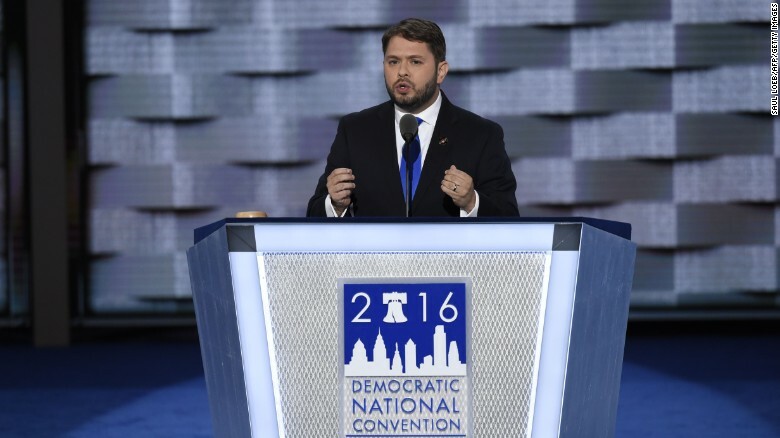 “I do believe the president is mentally unstable,” Gallego said. This man is not normal. He is not acting normal,” he added. “I will not work with President Trump because President Trump has not been clear and transparent with what occurred during this election,” Gallego said. “When you’re doing it like Donald Trump is, without any forethought, without actually planning, and by the way, no funding, because Mexico somehow is supposed to pay for it, which they’re not, you’re basically doing it just for pure political reasons and you’re stoking up one of the worst segments of the United States in terms of some deep-seated racism towards people that are Latino,” the congressman said. Is the DNC being clear and transparent about what happened /before/ the election? How did it come about that Secretary Clinton, who was just as unpopular as Trump and was a terrible candidate and destined to lose to Trump was anointed by the DNC? Is the DNC going to remain suicidal? “Starting” a kleptocracy- or just changing the poster boy, the sock-puppet face on a long-standing one? Apparently it was necessary to prove to America, and the world, just how irrelevant our laws and government have become. – Or possibly it was just time to eliminate the cost of the charade (elections, legislation, equal law enforcement, government, “justice”) disguising the fact.